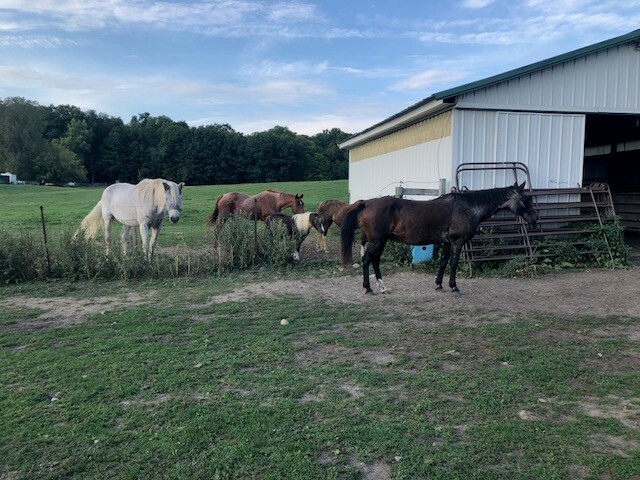 Hay is for horses! 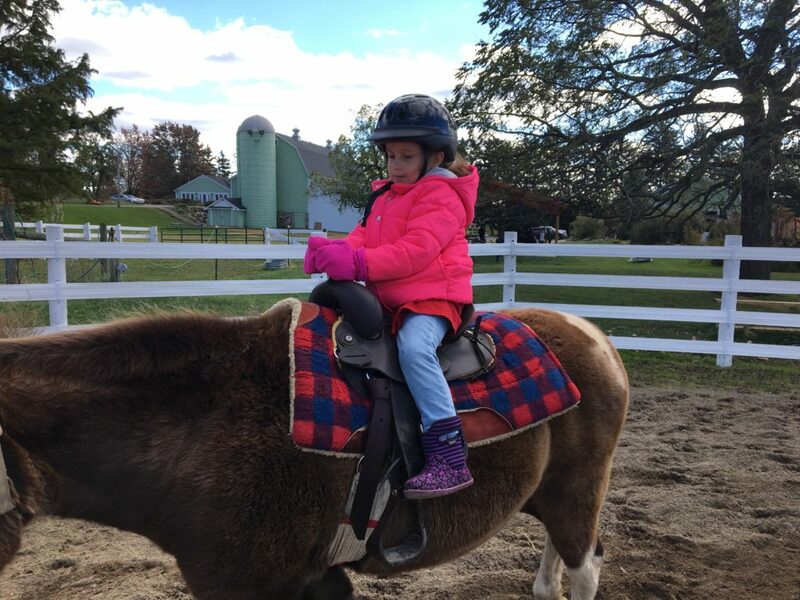 This week we shifted much of our focus to investigate how animals prepare for winter, in particular, our horses! We thought about the question, How do animals stay healthy and strong? 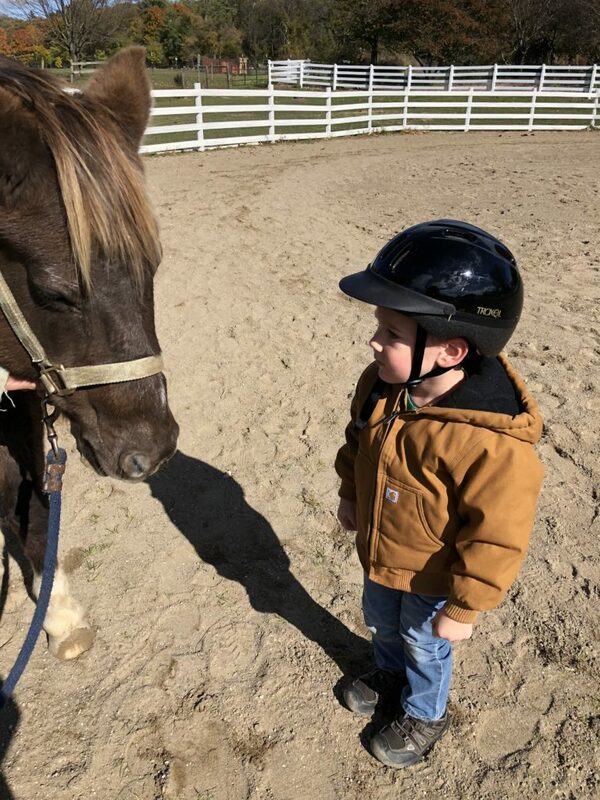 Our horses rely on us, the people who are part of our farm community, to care for them. 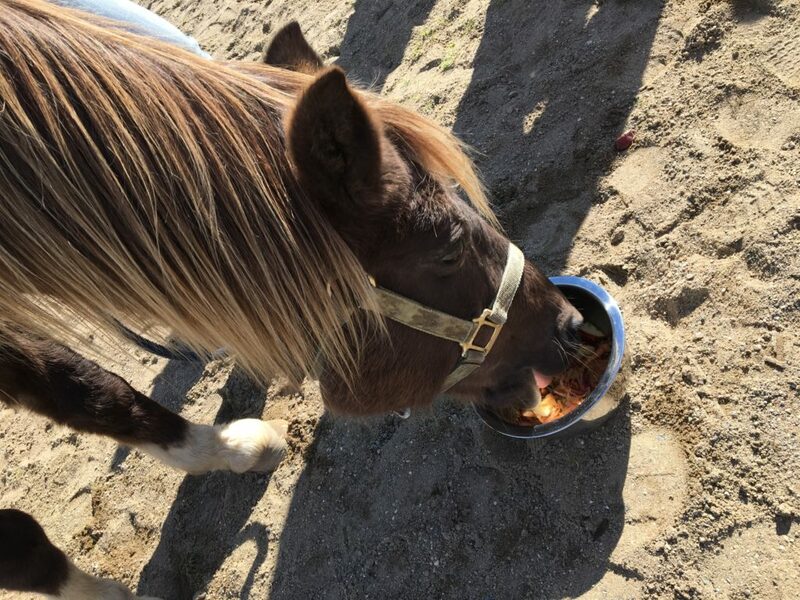 Just like us, horses need food, shelter, water, and rest. 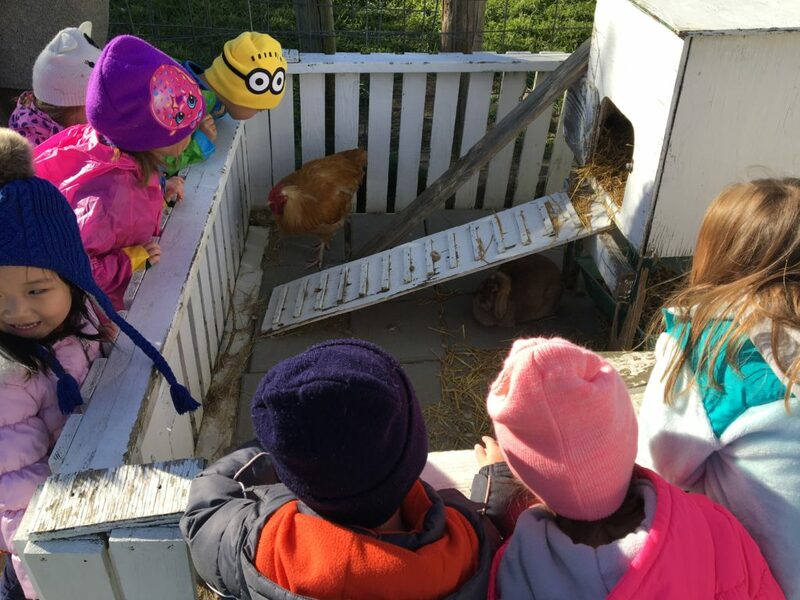 Farm Sprouts are learning important concepts through play and authentic experiences as part of our farm community. 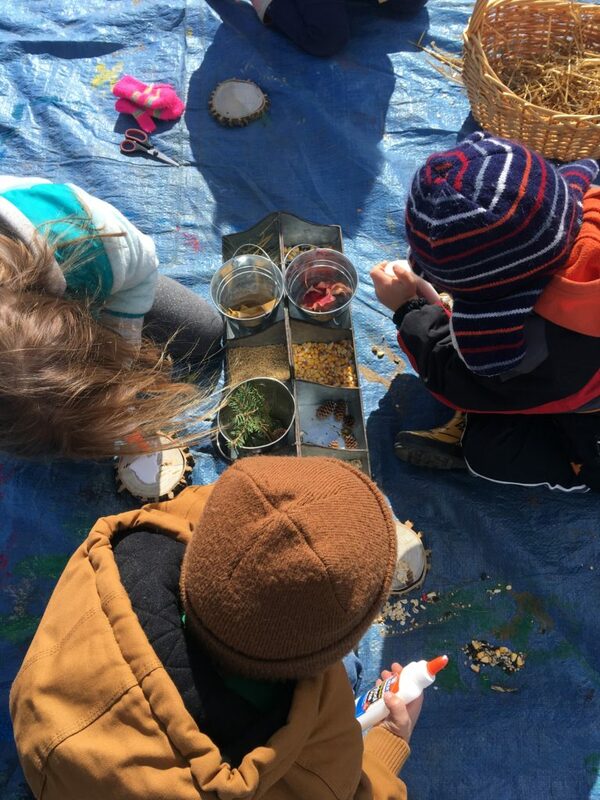 These concepts emerge quite naturally as children discover, wonder, and explore our environment. We are observing patterns as we note similarities and differences among our plants, animals, and each other. We take care to find what is common to build connections, while celebrating differences. Did you know horses can sleep standing up? 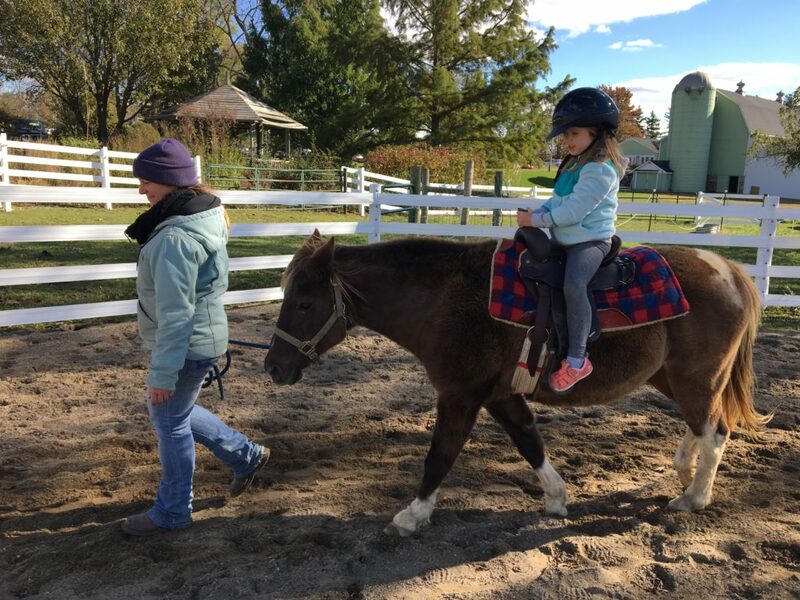 We observed this happening with our pony Sesame, who found our grooming in the sun to be quite relaxing. Some us noticed horses can change the direction of their ears so they can hear what is both in front of and behind them. We noted their feet are much different than ours. 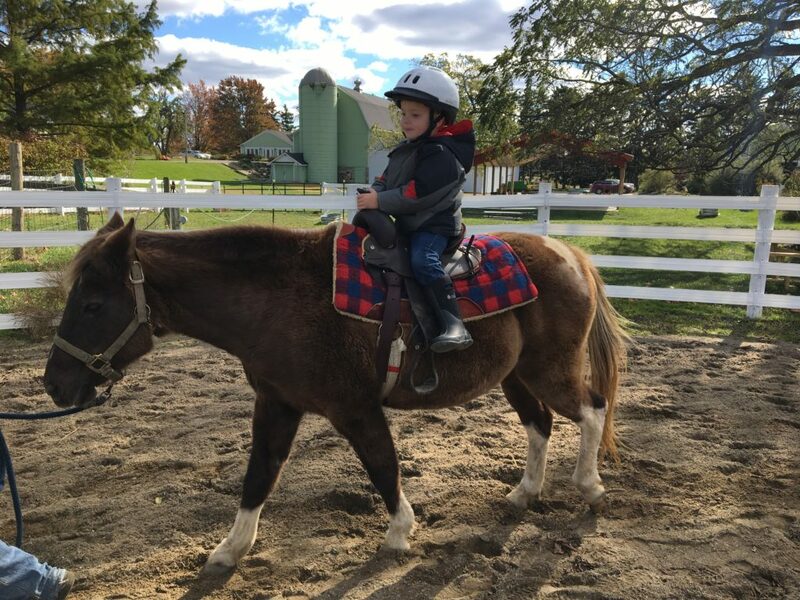 We wonder how hooves help horses navigate the world? What if horses had feet instead? Encourage your children to ask questions like these! Questioning is a scientific thinking skill we are practicing and encouraging. What does it mean to ask a question? In comparison to telling a story? Farm Sprouts voted for curry comb or saddle upon arrival. There was a lot of interest in both objects and we had the opportunity to learn more about each! 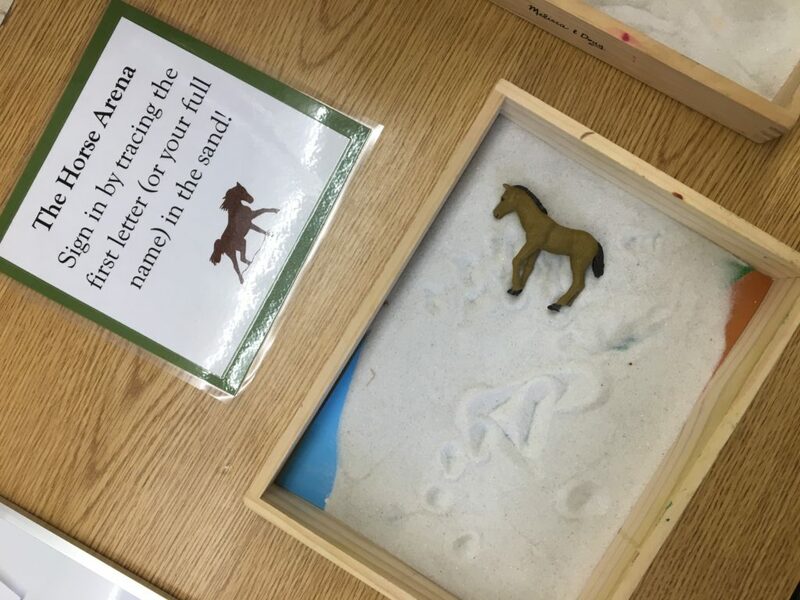 They signed in by writing the first letter or full name in the sand of a horse arena. 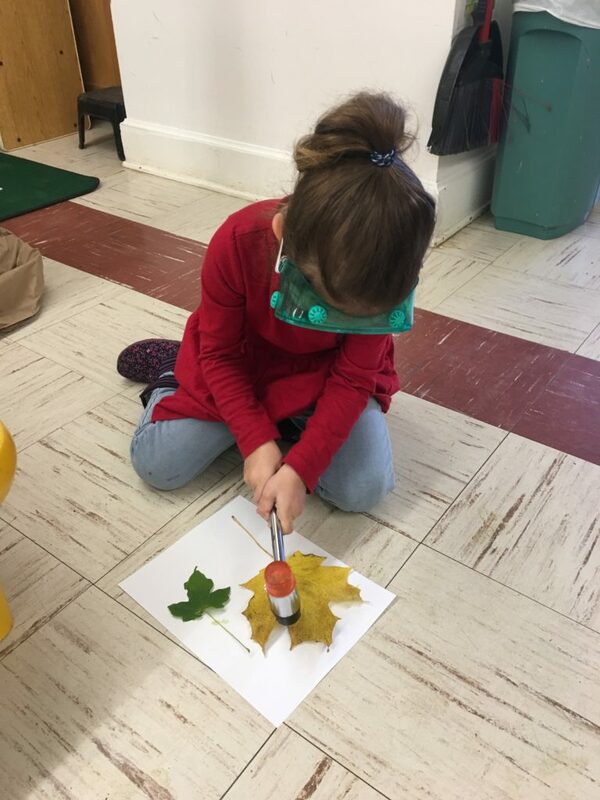 One welcome activity supported the continuation of an area of interest for Farm Sprouts: Why do leaves change color? Farm Sprouts could take a closer look at the leaf patterns in the leaves through various means of dissection. 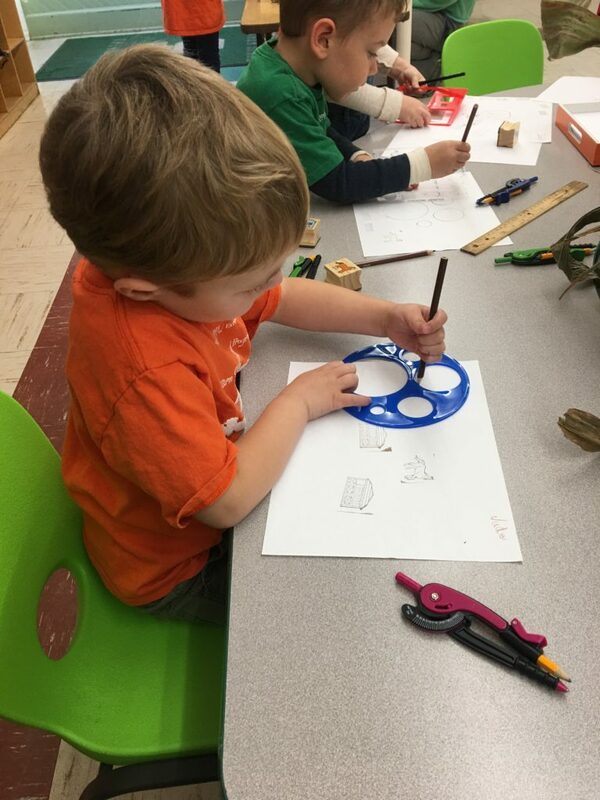 Another activity included utilizing map-making tools and horse stamps to continue our exploration of how mapping helps us. 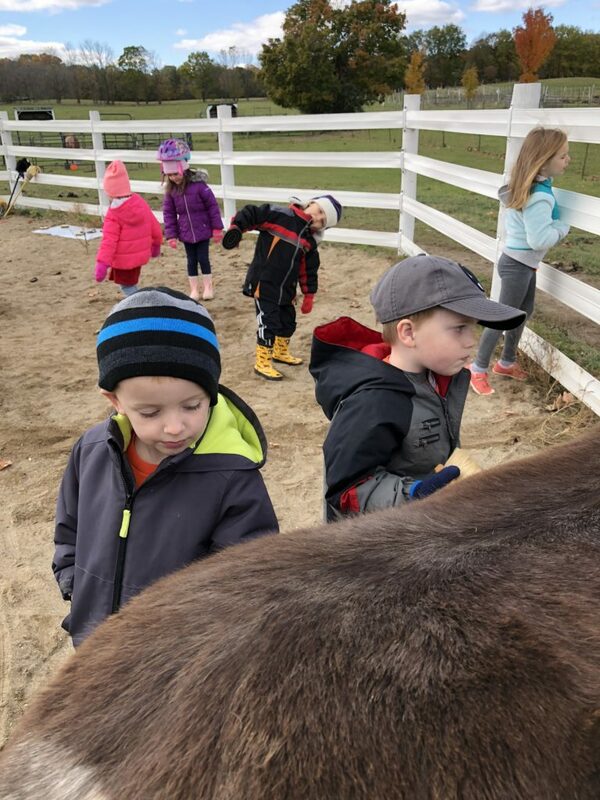 To prepare to visit the horses, we counted each other and the number of horses we have at Tollgate (using a photo) in a variety of languages. This season, we have Farm Sprouts who speak Spanish, Lithuanian, Korean, Hindi, and Arabic. Other languages some of us are learning include Mandarin Chinese, German, and French. 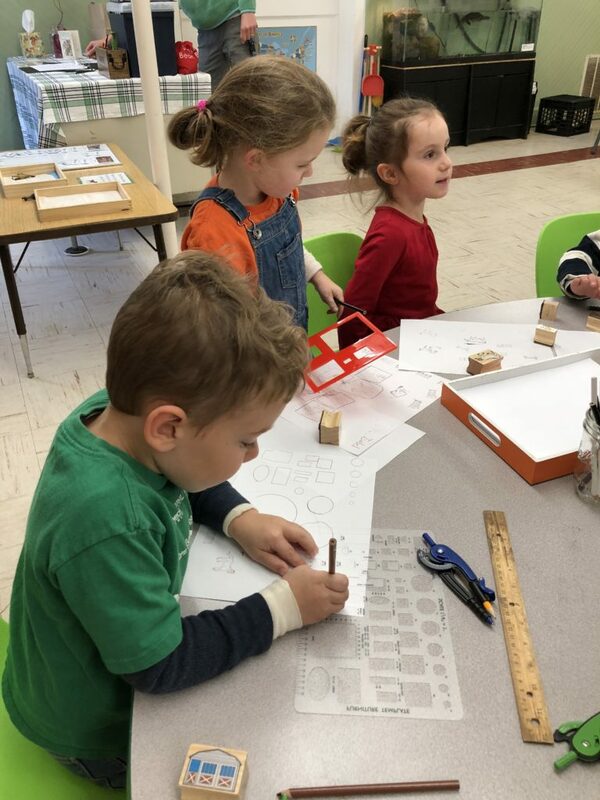 Over the past weeks, we’ve been practicing numbers, greetings, and the word for tree in a variety of languages. We learned the word for horse in Spanish by greeting our horse (¡Hola, caballo!) and some also learned the Korean word for horse (말 pronounced “mal”). 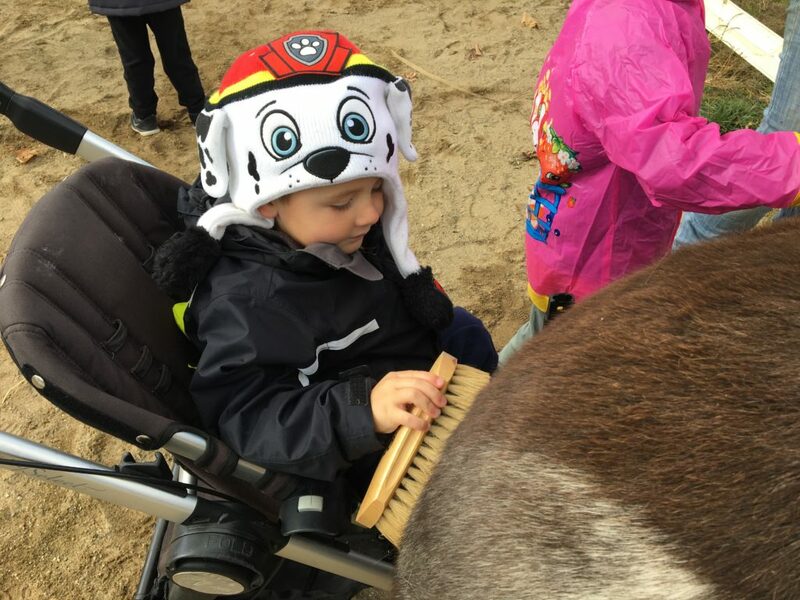 We’ve shared plenty of giggles this season at all of the different ways our animals communicate with us. Thank you to our amazing families who have supporting us with learning the languages they speak in their homes! 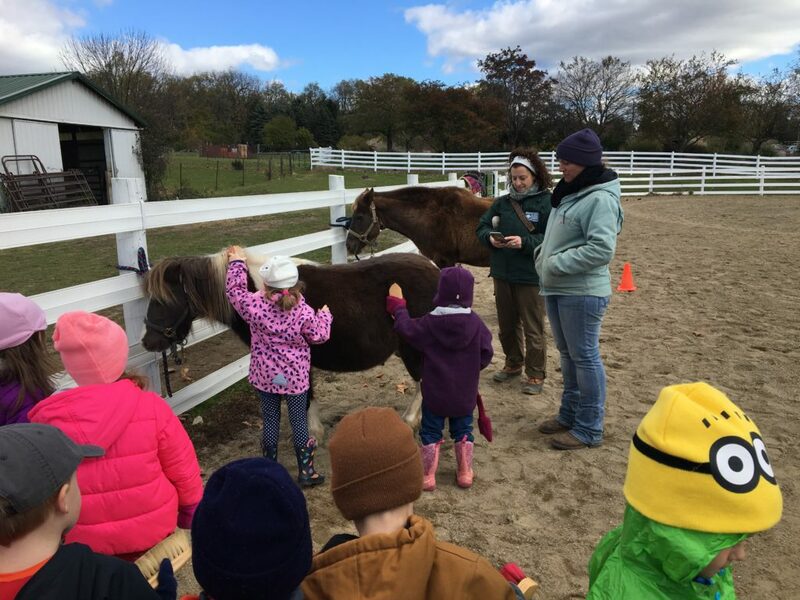 We headed for the arena where we greeted Sesame and Friday, our ponies, and Ms. Nicole, our Animal Care Coordinator. 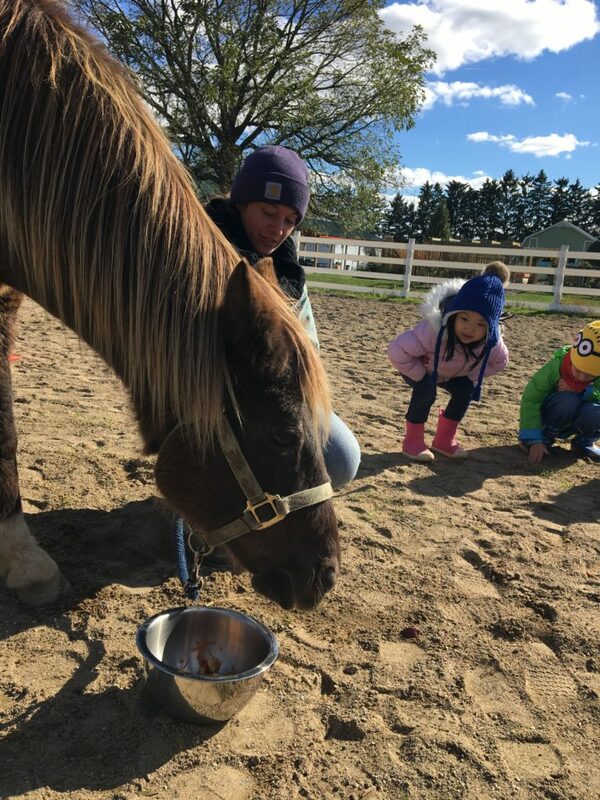 Ms. Nicole is a horse expert, so we were very appreciative of her support with the program this week. She showed us the tools we can use to groom a horse, including a curry comb and body brush. We each had a turn to groom Sesame, before turning our attention to a variety of other tasks. 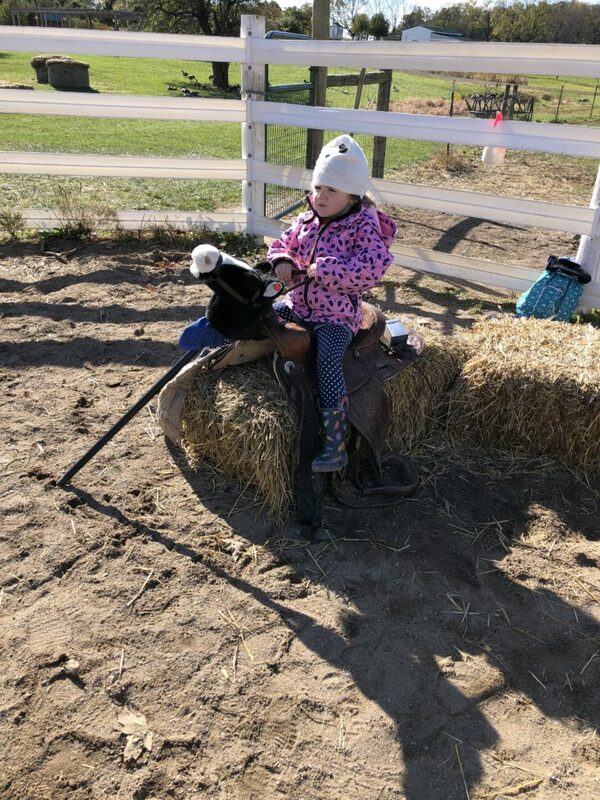 We had imaginary horse play items available, including a saddle, stick horses, bandanas, and ropes. 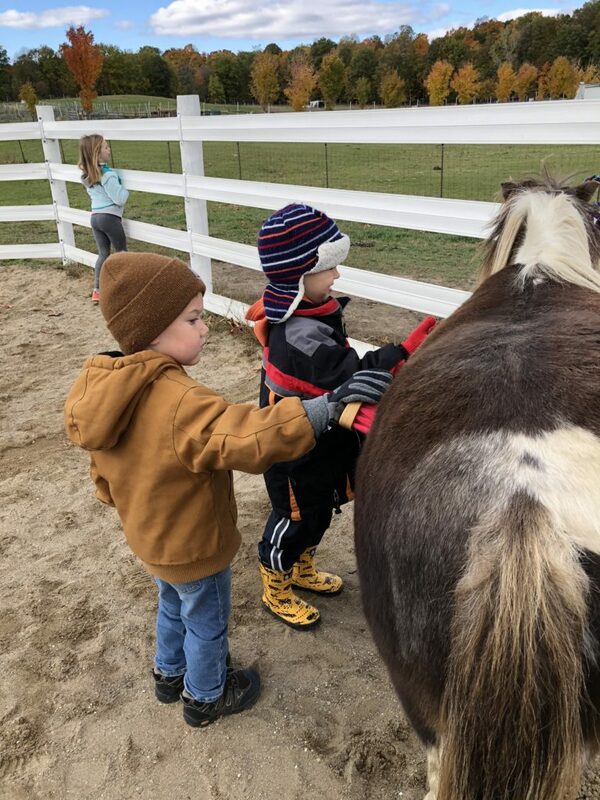 Farm Sprouts learned the difference between straw and hay and could explore these materials, along with oats, in the sensory table. We also had our tree cookies available for those who were ready to glue on nature discoveries we have gathered over the past weeks. 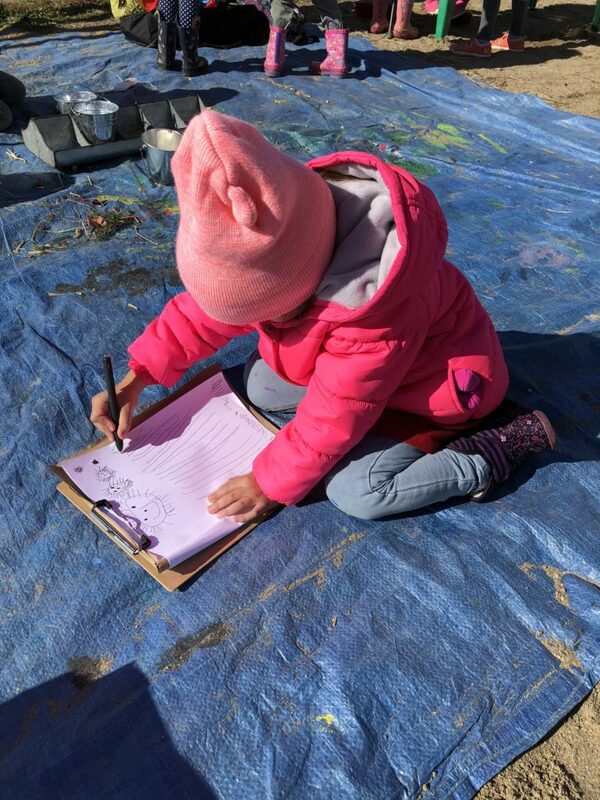 Journals and mapping tools were available to document and map our thoughts, discoveries, or environment. 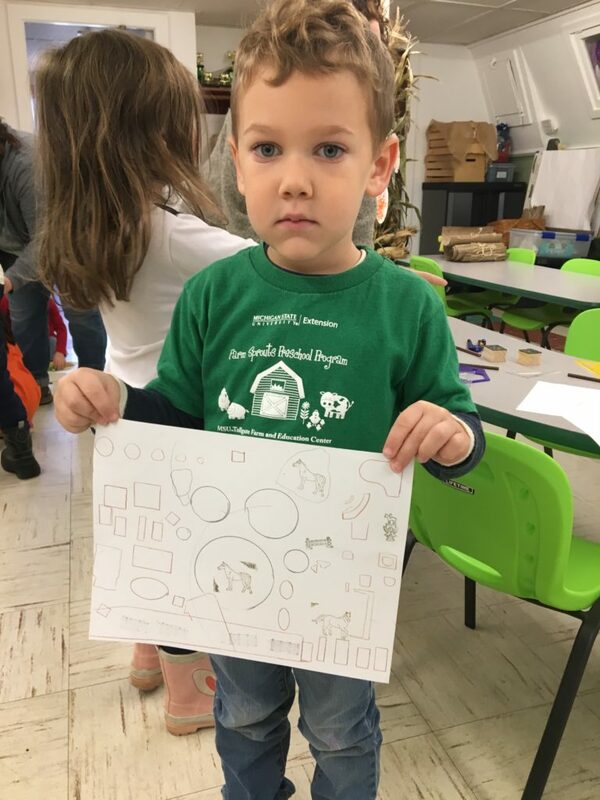 We identified the shape of the arena, an oval, and the shape of the horse barn, a rectangle. Farm Sprouts also rode Friday. 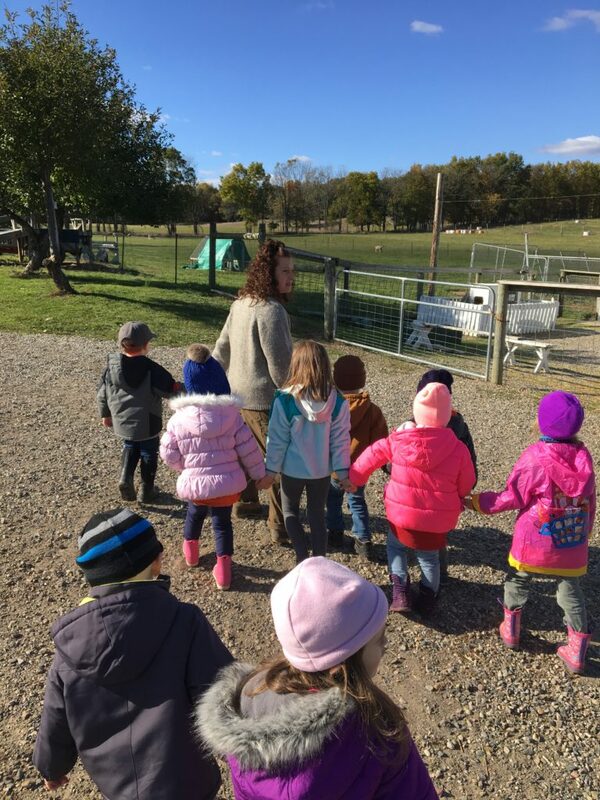 All Farm Sprouts were adventurous as they interacted and played among some of our biggest animals at the farm! 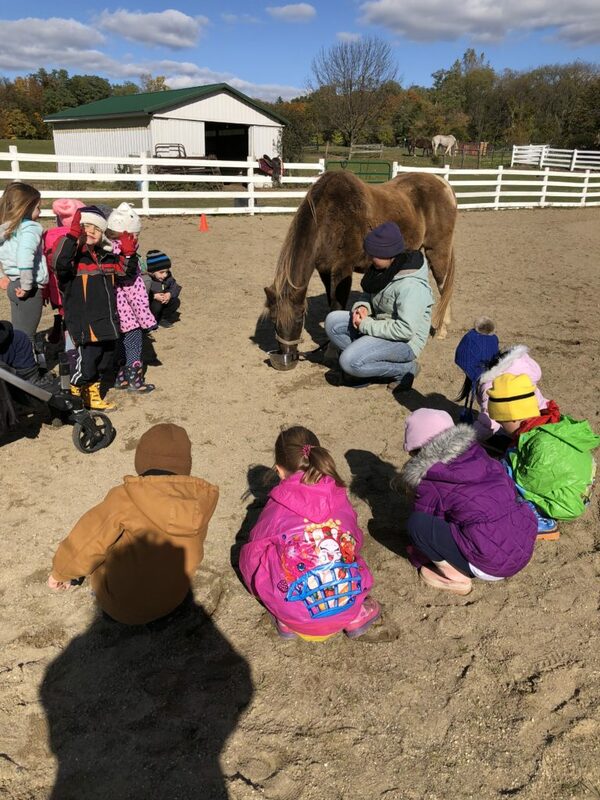 We felt grateful that we work and go to school in such a special place and showed Friday our thanks for the ride with a special rub and a healthy treat, carrot peels from our snack and apples from the orchard. We were now ready for and had earned a snack break of our own. 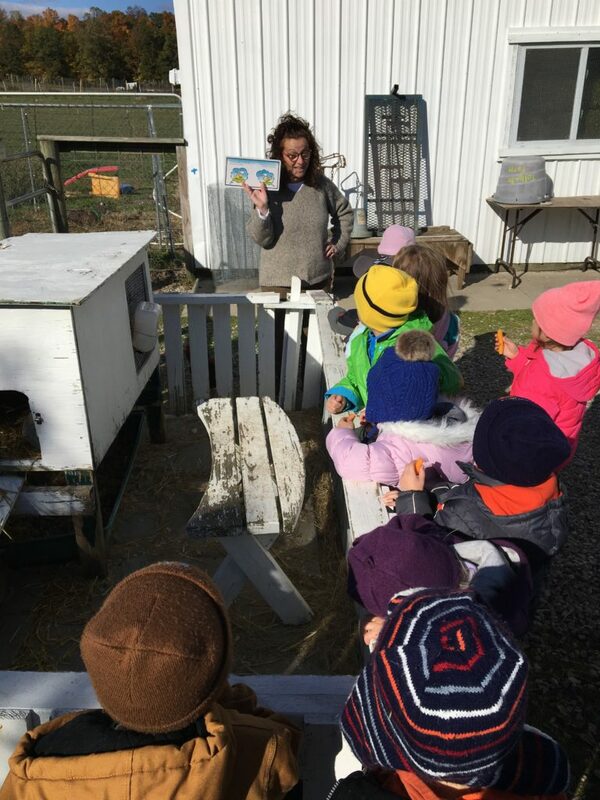 We washed up our dirty hands and hiked down to the animal barn to munch a carrot, grown right here at Tollgate, and read to our rabbits. We read, Duck! Rabbit! by Amy Krouse Rosenthal, a book that had us considering perspective, point of view, and open-mindedness. 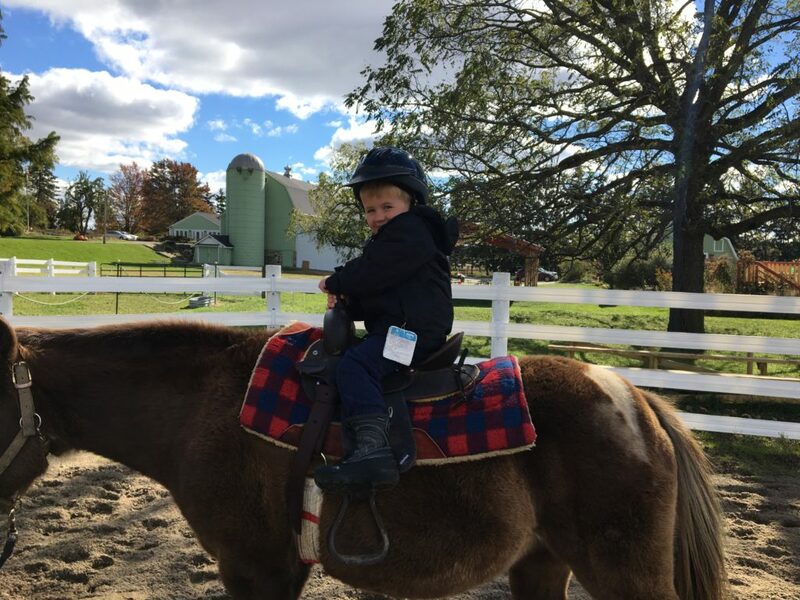 Those of us who rode a horse had earlier marveled at how the farm looked quite different from up in the saddle versus down in the sand. 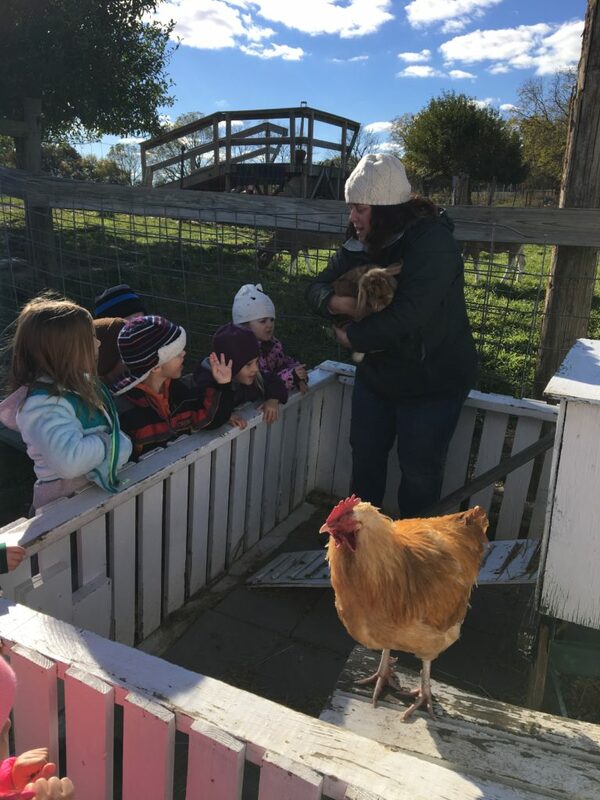 We greeted a few of our other animals as well before wrapping up a big day.